The fund, which will be worth £28.8bn over five years covers both Highways England’s strategic road network (SRN) and significant local roads defined as part of the major road network. The Treasury said that as well as motorway improvements, the cash could pay for upgrading key routes in local areas with congestion problems or poor links, and major new roads. The cash will include £25.3bn for the second Roads Investment Strategy (RIS2), from 2020-25 and £3.5bn for major local routes. The Treasury described the budget for RIS2 as a 40% increase to Highways England’s budget, compared to £17.6bn during the current RIS. Councils will be allocated an extra £420m for local road maintenance with a further £150m to address local congestion hotspots. 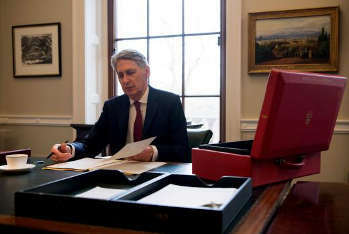 The Transforming Cities Fund will be extended by £680m in 2022/23 while Mr Hammond is also expected to announce an additional £90m for Future Mobility Zones to trial ‘next-generation methods of transport. RAC chief engineer David Bizley said: ‘This is good news for the nation’s motorists. The Government made a commitment three years ago to ringfencing all the money collected from vehicle tax from 2020/21 to maintain and improve our most important roads. It is good to see the Chancellor delivering on this promise and it is clearly a big step in the right direction.